We love our families who think of fun and creative ways to raise funds for CCAKids. Today on the blog, Denise Rast and her daughter, Alexa, show us how to make Chicken Enchiladas and Truffle Fudge Brownies using Tastefully Simple ingredients. YUM! 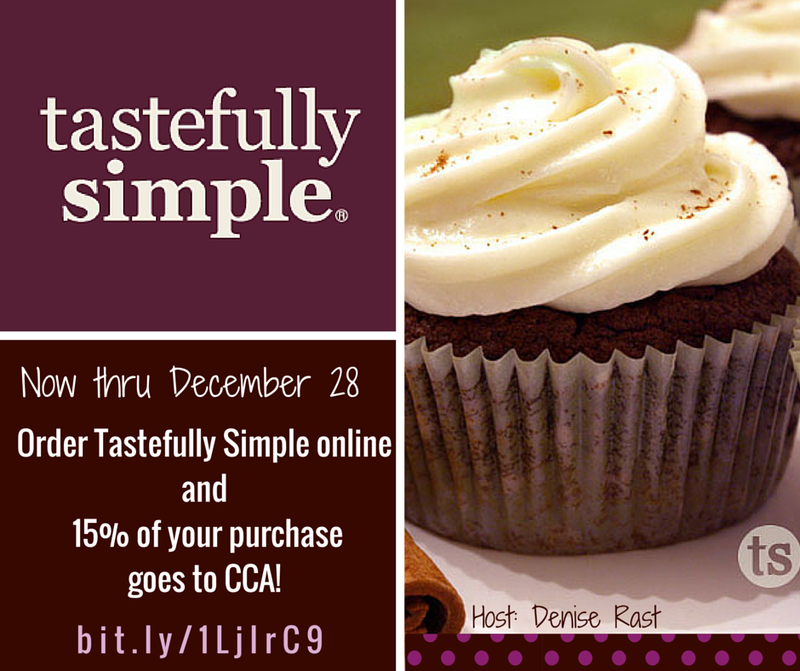 Through Tastefully Simple, Denise is raising funds for CCA with an online shopping party. Together, she and Alexa made this adorable video cooking lesson! Looks delicious! Shop anytime now through December 30th and 15% of each order goes to CCA. You can even host your own online party for CCA and not only does CCA get 15% of all sales YOU earn FREE product. For more info, contact Denise. Thank you, Alexa and Denise! Let's get cooking!